Ruth is thirty and her life is falling apart: she and her fiancé are moving house, but he’s moving out to live with another woman; her career is going nowhere; and then she learns that her father, a history professor beloved by his students, has Alzheimer’s. At Christmas, her mother begs her to stay on and help. For a year. 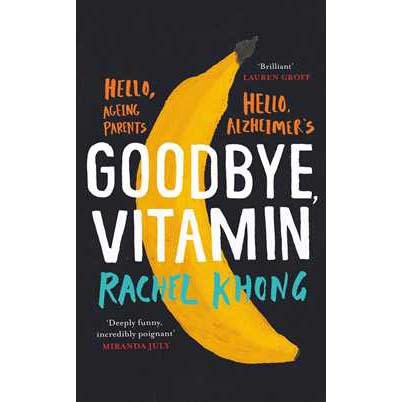 Goodbye, Vitamin is the wry, beautifully observed story of a woman at a crossroads, as Ruth and her friends attempt to shore up her father’s career; she and her mother obsess over the ambiguous health benefits – in the absence of a cure – of dried jellyfish supplements and vitamin pills; and they all try to forge a new relationship with the brilliant, childlike, irascible man her father has become.